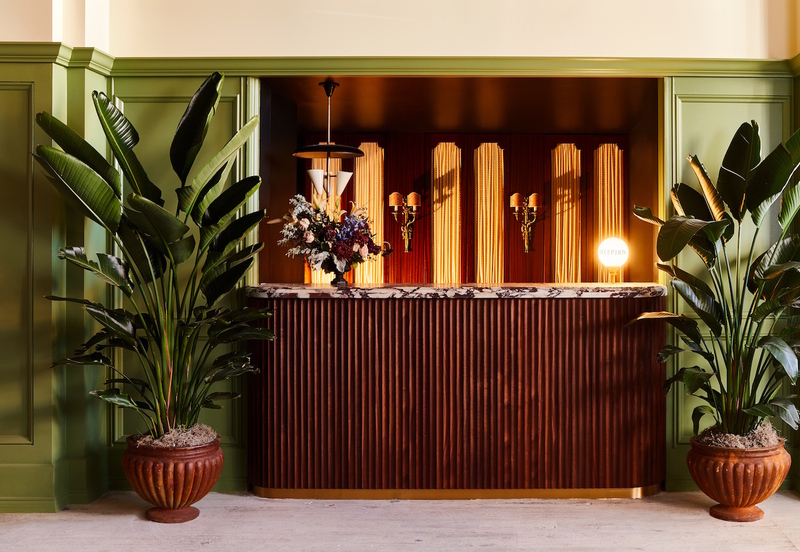 Four years after a triumphant leap into the hotel world, the design firm has resurfaced in Detroit with an even more immersive project that opens up all kinds of possibilities for its future. Stepping inside The Siren, it’s easy to predict a similar effect that will draw curious travelers to the Motor City. 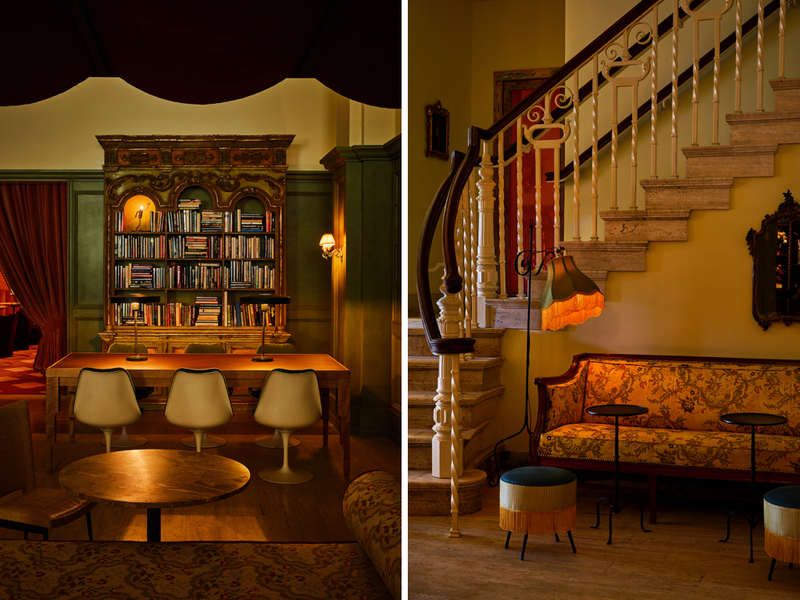 It’s evident the hotel is the manifestation of a designer unrestrained from a client’s budgetary limits—everything is custom or original. The baroque lobby is appointed with vintage sofas and chairs upholstered in saturated hues of midnight blue, apricot orange, and mustard yellow; ornate 19th-century Italian mirrors; travertine floors restored by the great-grandson of the contractor who installed the building’s original floors in the 1920s; a mint-tone coffee bar lacquered with automotive paint; and a matching green Murano chandelier. 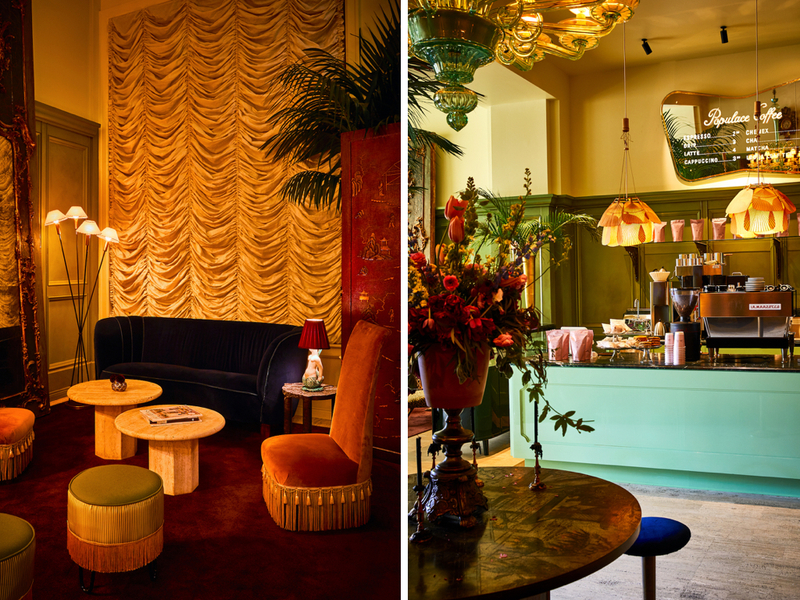 Push aside a velvet curtain and you enter the highly stylized cocktail bar with its plush banquettes and a French disco ball. A few steps away, local floral designer Lisa Waud has set up a pared-down version of her coveted Pot & Box flower shop. 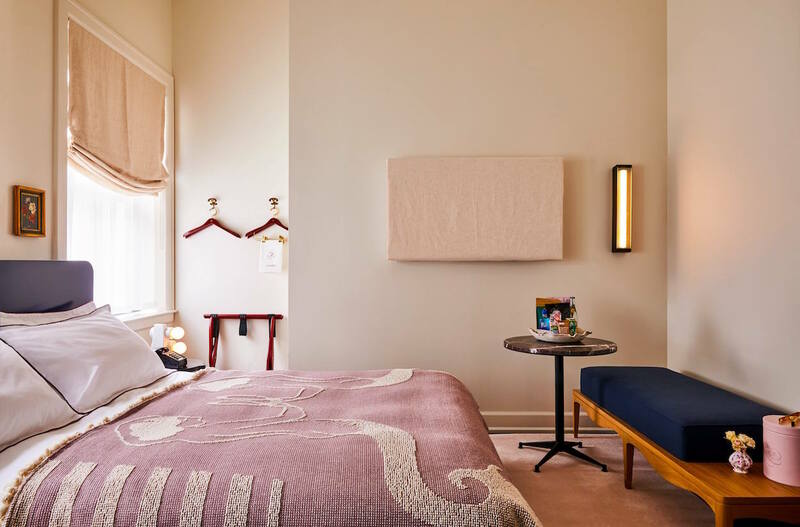 The 106 rooms incorporate side tables from their debut WC Collection furniture line, custom blankets from Maine Heritage Weavers—the oldest loom in the U.S.—and porcelain snack trays fashioned by the students from the nearby Cranbrook Academy of Art. 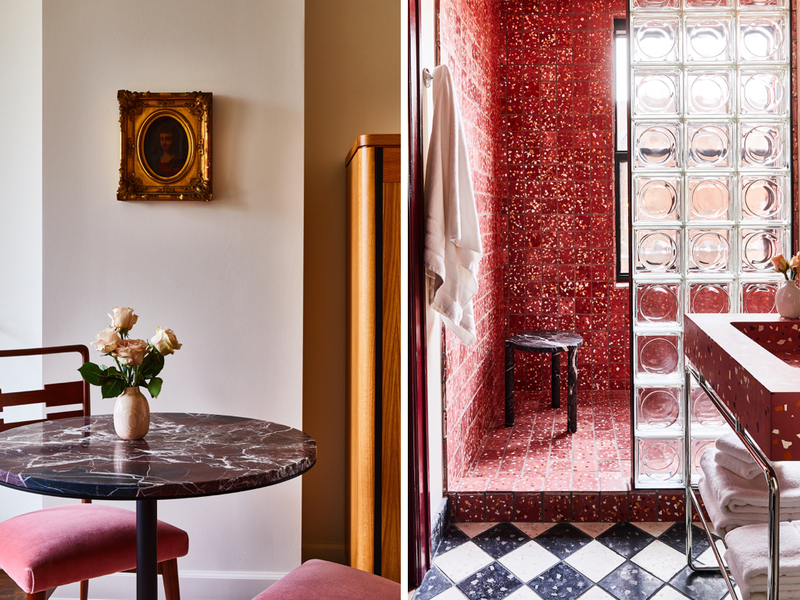 The color of the terrazzo showers depends on the particular room’s floor. On the horizon: Chef Garrett Lipar’s eight-seat tasting menu restaurant dedicated to ingredients from the Great Lakes region, a casual diner helmed by chef Kate Williams, and an outpost of the next-wave barbershop Social Club Grooming Company. Heckman and Cooper drew inspiration from The Siren’s home, the Wurlitzer Building, designed in 1926 by local architect Robert Finn as a music store, recording studio, and concert venue before falling to abandonment in the 1980s. Other reference points include Detroit’s industrial heyday, midcentury Italian design, and films by Italian masters like Fellini, Antonioni, and Guadagnino. That should come as no surprise to anyone familiar with ASH’s work, which has a cinematic style. 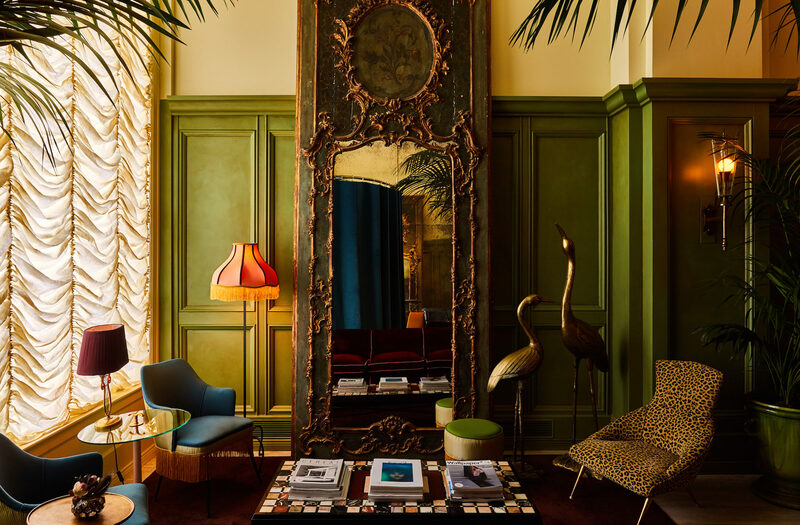 “Building a hotel lobby is very much like building a movie set, down to the scent, the lighting, the music, and the experience,” Cooper says. “There’s not a single thing in The Siren that’s not designed by us or vintage,” Heckman adds. “There’s not an off-the-shelf item, not even a trash can.” The aesthetic will be familiar to anyone who has stayed at The Dean, and one they will no doubt bring to their next project, a hotel in a disused convent in New Orleans’s Faubourg Marigny neighborhood, for which they are sourcing antiques from France and Belgium. With The Dean, ASH took the leap from a design and development firm to an all-encompassing, 360-degree operation, carving out a unique position in the hospitality industry. 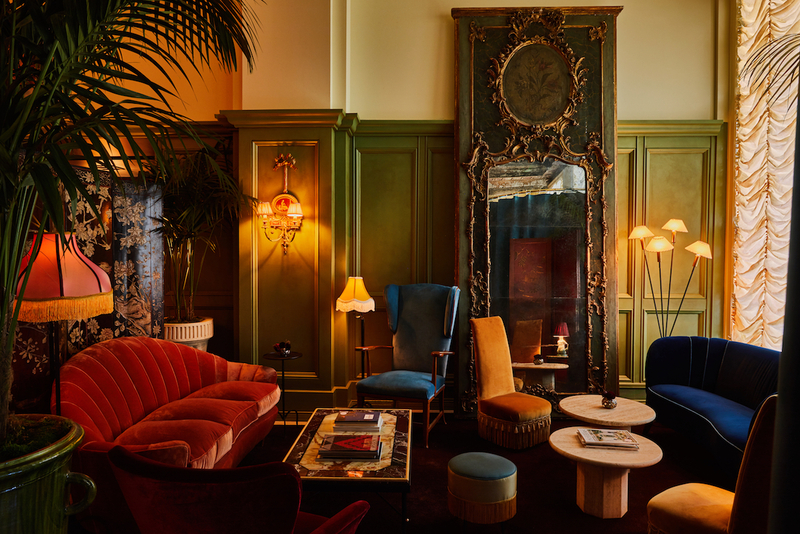 At The Siren, they’ve taken another step, incorporating their first-ever line of furniture into the space, a minimalist collection of daybeds, stools, and tables. They dream of eventually having their own contracting department to close the loop and do everything in-house. While it might seem like a template for the future, it’s not a model they think will catch on in the era of hyper-charged brand scaling. “Every day it’s a struggle not taking the path of least resistance,” Heckman says, though he’s quick to point out the benefits of having the freedom to make that choice by wielding total control over a project from start to finish. 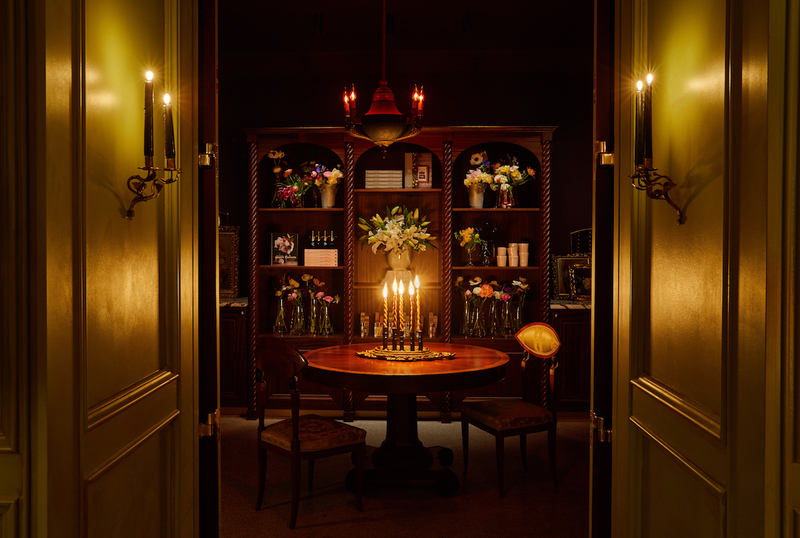 For now, Heckman and Cooper plan on expanding to other emerging cities in the U.S., including Baltimore, where they recently purchased a building, but their goal is to open a hotel in Europe and perhaps a resort destination. “We’re sort of entrenched in this boutique model,” Heckman says. “We definitely have many more of these in us, but innovation is something I think about a lot. What is the next thing?” It’s a good bet that once they figure out the next frontier in hospitality, they’ll be at the forefront of it.